Both international human rights law and international humanitarian law specify that all persons accused and/or brought to trial must benefit from a series of procedural safeguards and fundamental guarantees designed to ensure that they receive a fair trial and are protected from being unlawfully or arbitrarily deprived of their liberty. Examples of judicial guarantees and safeguards include the principle of nullum crimen, nulla poena sine lege (prohibiting punishment that was not set out in legislation at the time a crime was committed), the requirement that trials be conducted by independent, impartial and regularly constituted tribunals, the presumption of innocence, the right of the accused to be informed of the nature and cause of the offence against him/her, the right to an appeal, and the right of the accused to be present at their trial. Currently, IHL treaty law and State practice establish that in both international and non-international armed conflicts no one may be convicted or sentenced, except pursuant to a fair trial affording all essential judicial guarantees. IHL treaties foresee detailed judicial guarantees for prisoners of war and for protected civilians in occupied territories. Persons accused of serious violations of any of the four Geneva Conventions or of Additional Protocol I are entitled to benefit from the minimum legal safeguards laid down in those treaties. Article 75 of Additional Protocol I contains a list of guarantees afforded to persons under these treaties and to persons accused of war crimes. These guarantees are minimal requirements that do not in any way prevent more favourable treatment from being granted in accordance with other provisions of the Geneva Conventions and Additional Protocol I. 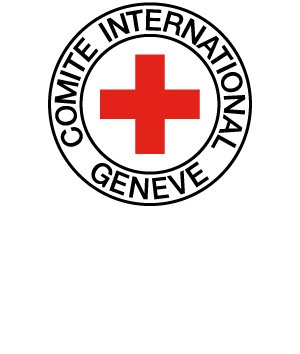 International humanitarian law applicable to non-international armed conflicts (Art. 3 common to the Geneva Conventions) prohibits the passing of sentences and executions in violation of “judicial guarantees which are recognized as indispensable” and, more specifically, sentencing or executions without previous judgement pronounced by a regularly constituted court. Additional Protocol II of 1977 stipulates, concerning offences committed in connection with a non- international armed conflict, that no sentence may be passed and no penalty executed in the absence of a conviction previously pronounced by a court offering the essential guarantees of independence and impartiality. In addition, it spells out the procedural safeguards that must be respected (Art. 6). ICRC, Chatam House, “Expert Meeting on Procedural Safeguards for Security Detention in Non-International Armed Conflict”, in IRRC, Vol. 91, No. 876, December 2009, pp. 859-881. PEJIC Jelena, “Procedural Principles and Safeguards for Internment/Administrative Detention in Armed Conflict and Other Situations of Violence”, in IRRC, No. 858, June 2005, pp. 375-391.
la Croix-Rouge”, in Revue internationale de droit pénal, Vol. 58, 1987, pp. 583-592.